Photographer Tom McCool lucked on an open hangar door on Pad 39A on November 27th and dropped a new Falcon 9 Block 5 booster in the late stages of integration before launch. Equal launch of one of two particularly important payrolls sometime Over the next 4-8 weeks, this booster potting is in line with what is expected to be a fairly busy December for SpaceX, highlighted by four possible launches and preparations for the upcoming introductory test flight Crew Dragon. 1; Tom McCool (@ Cygnusx112) November 27, 2018  Currently, SpaceX is the juggling, integration and preflight checkout of at least three shining new Falcon 9 Block 5 rockets ahead of Critical American Air Force and NASA launches in December and January. 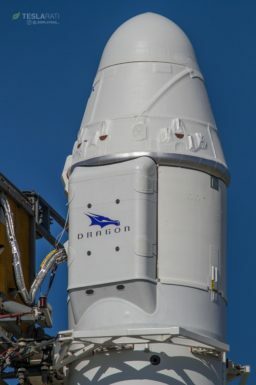 In accordance with the expected start date, these Booster B1050, B1054 and B1051 are for CRS-16 (Cargo Dragon), an upgraded GPS III satellite and DM-1 (Crew Dragon). On the East Coast, SpaceX’s next launch is the 16th Operational Resupply Mission for Cargo Dragon, which plans to deliver multi-tonne critical accessories to International Space Station earlier than (NET ) December 4th. The new Block 5 Booster B1050 is already built-in and ready in the company’s LC-40 hangar and awaits the arrival and attachment of a flight-certified Cargo Dragon. While it is not known which Dragon capsule will be, SpaceX holds anywhere between 4-8 recycled spacecraft, although you can build up outer socks (a detachable stern that is embellished with solar collectors and storage space). for each future re-engagement mission. 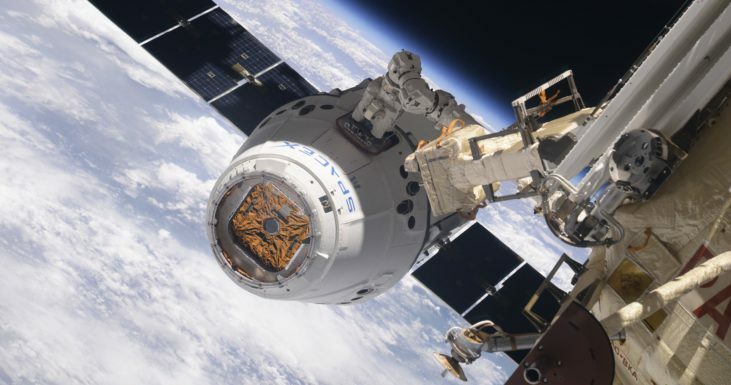 According to CEO Elon Musk and other SpaceX executives, Cargo Dragon was initially designed to have at least three orbital assignments with renovation, and it is possible that CRS-16 could be the third launch for such a capsule. After sending Cargo Dragon and the upper stage on its way, the Falcon 9 B1050 will likely perform the first recovery time to restore to Block 5 by performing a 180 degree flip and burning back on Florida’s coast to land only a few miles from the launch site. Of the five launches thus competed for the first ten GPS III launches, SpaceX has won all five, while ULA’s Delta IV was awarded a launch agreement for one of these satellites, which led to another four new grips in the next few years. The first GPS series, GPS III serial number 01 (GPS III-01), is now ready for launch pending the completion of some USAF reviews of SpaceX’s recently debuted Block 5 Falcon 9 upgrade. Now focused on NET December 18, perhaps the most curious aspect of Falcon 9’s first GPS launch is the sharp reality that most characters currently point to a deliberately consumed configuration of new Falcon 9 Block 5 booster. Given that SpaceX has made it unbelievably clear that Block 5 Boosters at least endeavor to perform 10 launches with little or no refurbishment, spending on a new booster without even a single reuse would pose a potentially huge opportunity cost. In all reasonable terms, Falcon 9 Block 5 should be able to place the 3900 kg (8600 lb) GPS satellite in a medium-sized lane with plenty of margin left for a drone ship’s recovery in the Atlantic. It is likely to launch on Falcon 9 B1054, the only possible explanation for a consumption mission would be a request (or demand) from SpaceX’s customer, USAF. 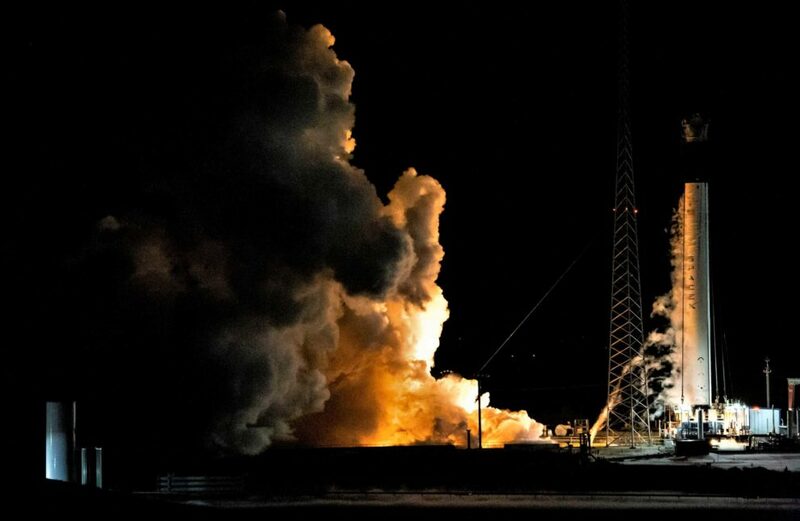 Finally, SpaceX and NASA have – perhaps for the first time in the commercial crew program’s (CCP) history – set a date for the first orbital launch of a spacecraft developed within the scope of the program, in this case, SpaceX’s Crew Dragon on top of a Falcon 9 Block 5 rocket. NET on January 7, 2019, that date is certainly unpleasant, but it indicates effectively that SpaceX is sure about the hardware, the software and the general business side of things are all good to go. 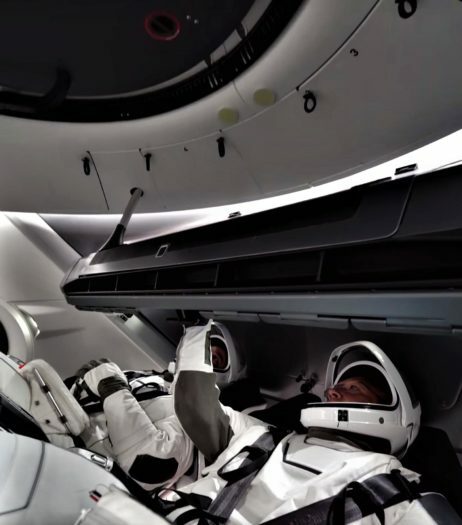 SpaceX is now waiting more or less for NASA’s terrible slow bureaucracy to perform the much more everyday tasks to complete paperwork, coordinate ISS schedules to suit Crew Dragon and other diverse tasks. The time will tell, but COO and President Gwynne Shotwell announced in October 2018 that she fully expected Falcon 9 and the first orbital Crew Dragon to be vertical in Pad 39A before the month of December is out, in principle ready to start as soon as NASA and ISS scheduling is ready to allow it. It’s almost impossible to know for sure, but the rocket discovered Tuesday in Pad 39A’s hangar might well be Falcon 9 B1051 and a crew-clear upper step that prepares Crew Dragon’s first autonomous test flight or it may be B1054 (uncontrolled) in the late stages for the preparations for SpaceX’s forthcoming GPS III launch. All will be clarified in the next few weeks. Meanwhile, SpaceX’s next launch – SSO-A on the west coast – slipped into the first days of December thanks to some unusually harsh weather conditions above the launch plate.